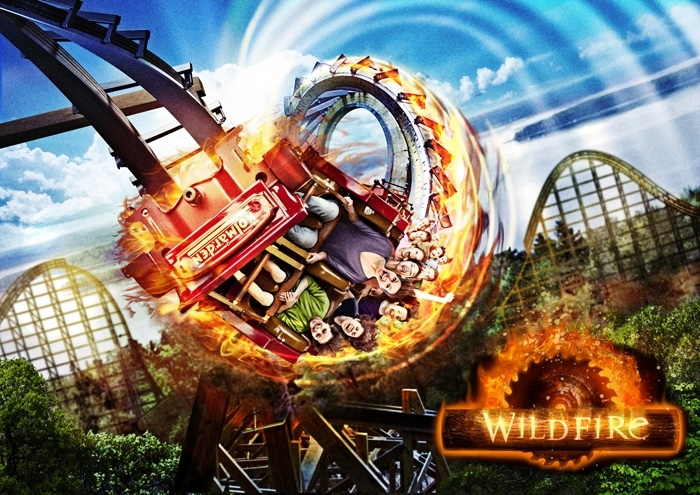 Shocking news as been revealed that Kolmården has lost it's planning permission to build WilFire! The town gave permission which have been appealed up until the higher level of "county" government which have now rejected the coaster. The reason why the zoo has been denied it is lack of a plan for the area, and resistans from nearby locals and that the park is close to a protected nature area. Kolmarden Zoo may not permit to build a roller coaster. Östergötland County Administrative Board cancels the Municipality of Norrköping decision on building permits, which were taken last fall. County Board rejects the zoo's application for planning permission on the grounds that it requires a detailed plan before the question can be reviewed. Norrköping Municipality granted Kolmårdens Zoo AB planning permission for a roller coaster October 8, 2014. The decision has been appealed by several parties, associations and individuals. According to the master plan is the relevant part of the area designated as a zoo. The area lacks detailed plan. Roller coaster is supposed to be placed directly adjacent to the existing zoo. The plant will be located near nature reserve and area of ​​national interest for nature conservation and outdoor recreation. The County Board believes that the roller coaster will have a major impact on the environment. It will, among other things, to change the landscape, cause increased noise levels and affect the traffic situation. Therefore, a detailed plan in place before the roller coaster can be checked by a planning application, consider the County Administrative Board. The decision can be appealed to the Land and Environment Court. This is a real shame, for me as I was really looking forward to seeing this beast of a wooden rollercoaster come to life, and I am keeping my fingers crossed that it will be built. Oops, I can see where the locals are coming from (noise, increased traffic, may affect nature reserve) though e.g. There is currently a plan for a Sainsburys to be built in my town but i don't like the plans for it so would like it rejected like the locals have here. The thing is for this coaster, enthusiasts would love this to be built which would be going against the locals just like a supermarket enthusiast would want another supermarket to visit. I really did not expect this to happen. Now my plans of going to Kolmården will hang in the balance until it gets built and opened. Shame, looked like it was going to be a great ride as well. I really do hope that Kolmården does appeal for the planning application, as I really loved the design of it, and think it would bring so much to the zoo/theme park.